Mission Hospital is leading the way in providing you with the most advanced diagnostic care in the world, right here in south Orange County. Here, our highly trained staff combines caring service and advanced technology to treat the whole person - mind, body and spirit - because every blueprint for health is unique. 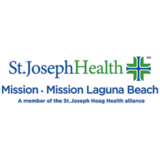 Mission Hospital Foundation has not yet activated their merchant account with Givsum. Your donation will go to the GIVSUM Foundation who will issue a check to Mission Hospital Foundation ( less applicable fees ) as a grant within 30 days. You will get a tax receipt for the full amount of your donation from the GIVSUM Foundation, which you may use for your tax purposes.